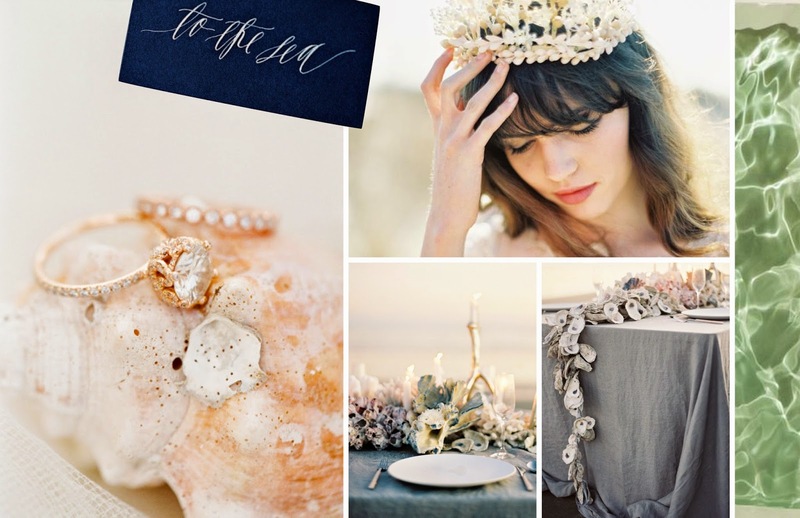 I'm in love with the softness of this inspiration board. I've had a few projects lately that were some combination of light pink and dark blue in color palette, but it's amazing how versatile of a pairing those shades can be. There are so many options within those shades that the designs always feel original. 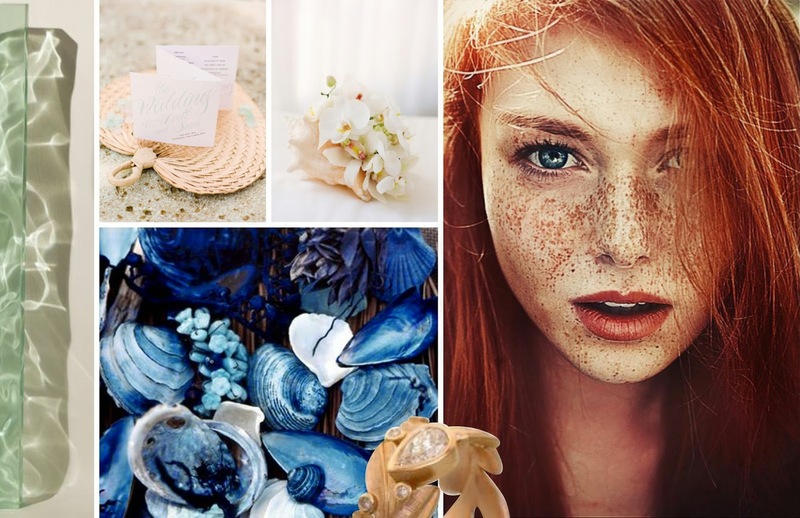 For this sea inspired palette, we're hoping to head in the ink and shell direction. I was so inspired for this project, I made a double board. I doubt this will be the first time I do this - it's so much fun to gather ideas and images! P.S. How stunning is that redhead and her freckles?